Marquis_de_Sade is a Legacy Library. Legacy libraries are the personal libraries of famous readers, entered by LibraryThing members from the Legacy Libraries group. » Marquis de Sade's catalog. » Marquis de Sade's legacy profile. Marquis_de_Sade is also an author. » See Marquis de Sade's author page. 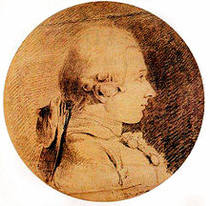 About meDonatien Alphonse François de Sade (1740-1814), best known as Marquis de Sade, was a French aristocrat, soldier, writer and philosopher notable for his radical atheism and unusual sexual predilections. His upbringing and education were strongly influenced by the materialists, freethinkers and libertines of his and previous ages, not least his rakish father and uncle. The latter, abbé Jacques-François de Sade, friend of Voltaire's, was a lover of women and books; it is probably in his library that the young Sade discovered a lifelong passion for reading. About my libraryThis catalogue is based on Alice M. Laborde's transcription of a list of books present in the chateau of La Coste, Sade's main family residence, in 1776. The list, partially in Sade's hand, is kept in the municipal library in Avignon, labelled Inventaire d'une bibliothèque, MS. 6185. Books that have been bound together are listed separately, new information is added and corrections made where possible. Many of the works in Sade's catalogue were prohibited, clandestinely printed, often outside France, and secretly distributed at significant risk to purveyors and purchasers. Robert Darnton's The Corpus of Clandestine Literature in France 1769-1789 and The Forbidden Best-Sellers of Pre-Revolutionary France provide an interesting history and checklists of this literature and information on fake printers, publishers and pseudonyms used. Explanation of certain tags: illegal indicates books prohibited from publication and distribution during Sade's lifetime; condemned those where specific information is given about their physical destruction by tearing or fire. The number of illegal/condemned books in the catalogue is underestimated.